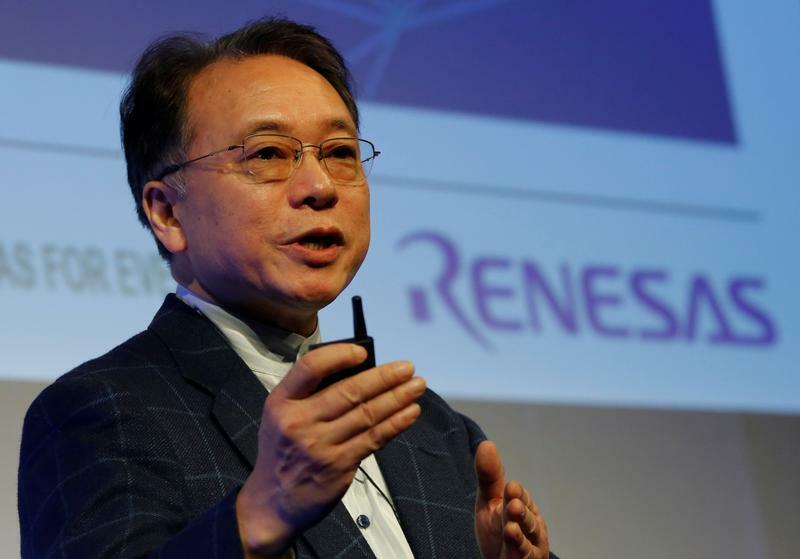 Renesas Electronics Corp's Chief Executive Officer Bunsei Kure attends the company's conference in Tokyo, Japan, April 11, 2017. Japanese chipmaker Renesas Electronics said on Aug. 31 it was considering buying Integrated Device Technology, a U.S.-based rival. The deal could be worth as much as $6 billion, the Nikkei business daily reported. Renesas shares fell 6.4 percent to 786 yen apiece on Sept. 3, while IDT shares closed up 12.3 percent on Aug. 31 at $42.49.